Multi Fuel Stoves Brighouse. If you live in Brighouse and are looking for a multi fuel stove then why not start at the Leeds Stove Centre. As the leading supplier and installer of multi fuel stoves in the UK, including the Brighouse area, we have a large choice of multi fuel stoves that can be ordered online for home delivery in Brighouse. Leeds Stove Centre has been supplying multi fuel stoves in Brighouse for almost twenty years – both as a retailer and supplier to the trade. Our employees are very well informed about all our products and always more than happy to give you any advice that you may need. We are located about thirty minutes drive ,down the M62 corridor, away from Brighouse in Pudsey, where we have a showroom which has a number of live displays allowing you to see how your new multi fuel stove would look and feel in your home. We provide a great customer service with regards to all aspects of your purchase and our customer testimonials verify this. We offer free delivery to your door anywhere in the UK and welcome all enquiries from customers new and old. At the Leeds Stove Centre You will be sure to find the perfect multi fuel stove for your Brighouse home. 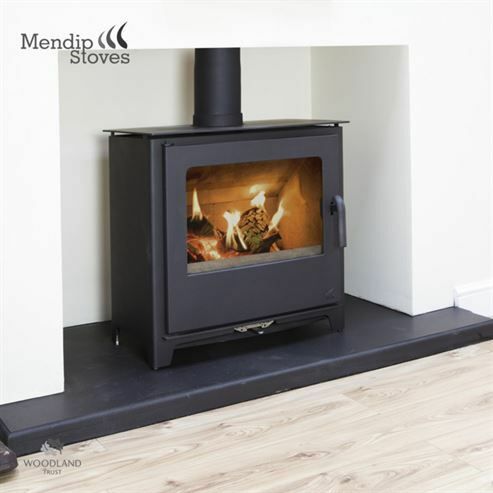 We pride ourselves on having a large choice of designs from both leading and minor multi fuel stove manufactures that you can rely on. Examples are Hunter, Dovre, Stovax, Yeoman, Mendip, Dik Guerts and Dunsley. At the Leeds Stove Centre we are committed to bringing you the very best prices for multi fuel stoves in Brighouse and we always endeavour to match or beat any of competitors price in the UK. If you have any enquiries, please do not hesitate to contact us to find out more about our multi fuel stoves service in Brighouse or to arrange an installation survey by calling us on 0113 255 5622.